Satisfaction for Insatiable Readers: TLC Book Tours presents... 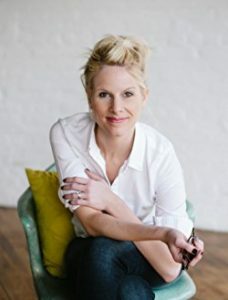 THE LOST CASTLE by Kristy Cambron - REVIEW + GIVEAWAY! TLC Book Tours presents... 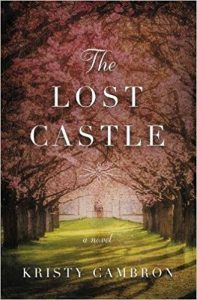 THE LOST CASTLE by Kristy Cambron - REVIEW + GIVEAWAY! This is the story of how one woman found more than she ventured out to discover about her family, her history, and herself. Ellie was a determined young woman set on delivering some semblance of peace to her ailing grandmother, while taking the first step on a journey she never knew was intended for her. The places she sees, the people she meets, the connections she makes, all create a spectacular backdrop for a story that will steal your heart. The long forgotten castle adds a certain air of mystery. The family working the surrounding lands brings a palpable heart to the seemingly silenced emotional landscape. The forbidden nature of it all creates the challenge from which Ellie will not back down from, eventually granting her more than simply access, but a kinship of sorts with all that's transpired. It was wonderful following the ladies, both past and present, down the roads of their fated futures, and seeing the strength of character they possessed in times that were more than earthshattering, but heart quaking. For me, the hardest part was keeping the stories straight. Don't get me wrong, each stands on its own two feet with its own feisty (if unexpected) heroine (of a sort) and a remarkable tale to tell that ends up connecting throughout the span of lifetimes, but in the moment, things would get a bit fuzzy. We kept bouncing back to the past and journeying through a memory of its own past, then would flit back to the future, or at least its own future, only to wind up in another era all together. It left my head a wee bit woozy from time to time. Eventually though, things fell into place and the day progression in each timeline was forward marching, allowing this reader at least an easier time of keeping the past with the past, the present with the present, and the future just on the horizon. Special thanks to Lisa at TLC Book Tours for the chance to bring this tour to you as well as the Thomas Nelson team for the ARC for review. (THANKS!) For more information on this title, the author, the coming series, THIS TOUR, or those on the horizon, feel free to click through the links provided above. This title is available now, so be on the lookout for it on a bookstore shelf or virtual retailer of your choosing. DON'T MISS YOUR CHANCE TO WIN A COPY OF THE BOOK AND A SIGNED TOTE OVER ON INSTAGRAM! JUST CLICK HERE TO ACCESS ALL THE FUN! Wow, there is SO MUCH in this book that sounds awesome to me! I'm so glad you enjoyed it.